People! It’s a total game changer. I am so happy to report that I can now let things go. Because they are just that. Things. If I don’t love the item or it doesn’t serve a purpose to me or my family (read: used regularly), I let it go. 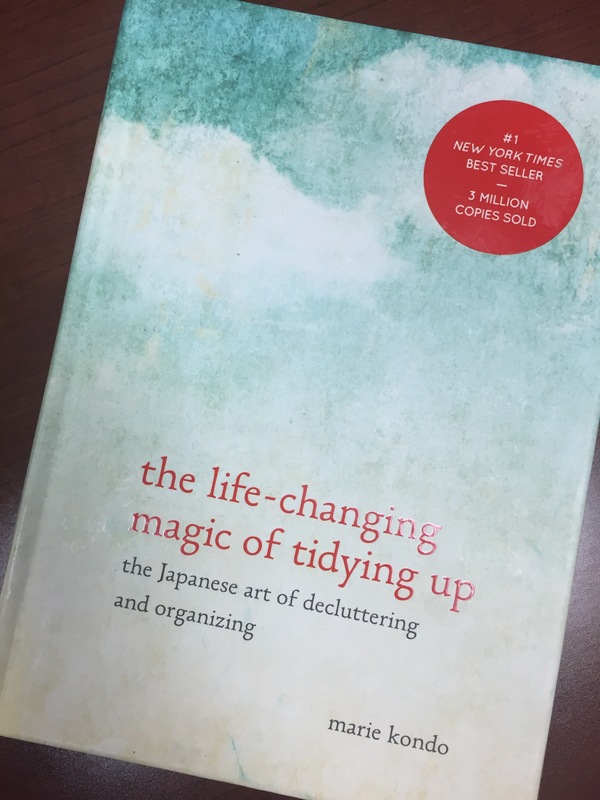 Thank you Marie Kondo for the life-changing magic of tidying up. Dear readers, I highly recommend checking out the book. Kondo has great ideas and insight for those of us who need some help letting go of our long-held, but no longer necessary items that clutter the nooks and crannies of our homes. She has great tips and tricks on how to store items too. We all want to live in a space that sparks joy, which Kondo has aptly titled her next book . Here’s to spring cleaning!